The days from May 24 to May 28, 1940, altered the course of history as Churchill and the members of his Cabinet debated negotiating with Hitler or continuing the war. 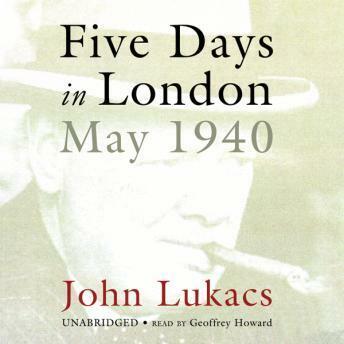 Lukacs takes us hour by hour into the critical unfolding of events at 10 Downing Street, where the military disasters taking place on the Continent, particularly the plight of the nearly 400,000 British soldiers bottled up in Dunkirk, affected Churchill's fragile political situation. It's OK, lots of political stuff and it is hard to keep up with so many caracters.